Whiplash and Whiplash Associated Disorders (WAD) occur when the neck suffers a rapid forward or backward movement. They can have varying symptoms – anywhere from mild to severe. Whiplash is treated in many different ways, but in most cases, it is treated non-surgically with physical therapy, exercises, and medication. If symptoms are severe, then surgery may be recommended. 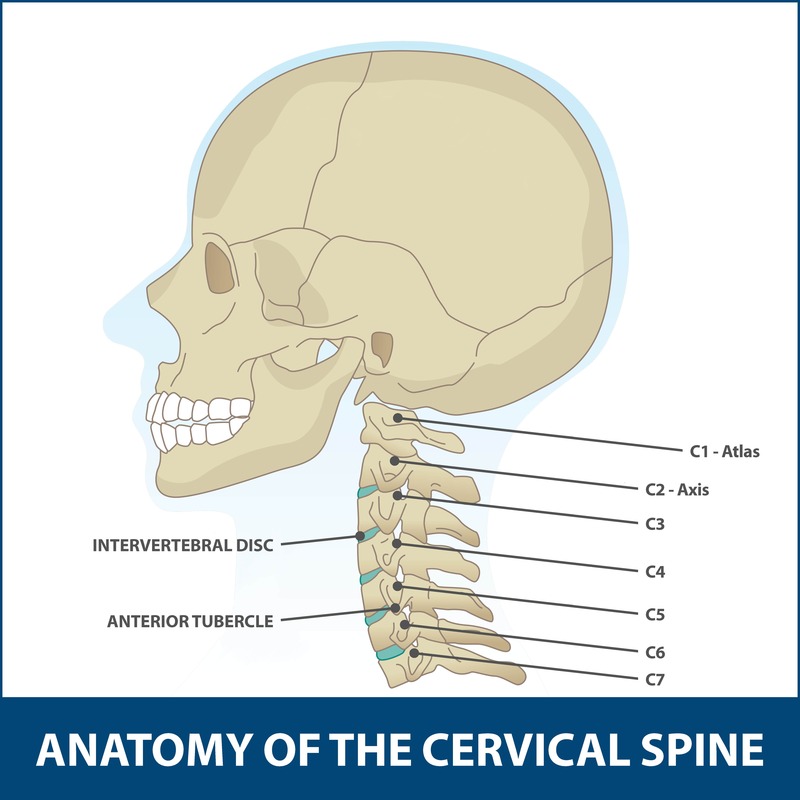 The cervical region of the spine supports the head, protects the nerves and spinal cord and allows for the neck to move. Intervertebral discs sit between the vertebrae and are the shock absorbers for the spine. They are flat, round, about half an inch thick and made of two components—the nucleus pulposus, and the annulus fibrosus. The nucleus has a jelly-like consistency and is found in the center of the disc. The “jelly” allows the disc to be flexible and strong. The annulus is the flexible outer ring of the disc and consists of several layers. When moving or standing, weight is put on the nucleus, causing it to expand while the annulus holds it in place. Together, the nucleus and annulus allow for movement to take place while simultaneously maintaining the strength of the spine. Many nerve endings supply the annulus and, as a result, an injured annulus can cause pain. Whiplash is a common injury that is often mistreated or ignored due to a lack of understanding of the condition. When you quickly accelerate or decelerate, the force of that movement causes unrestrained, rapid forward and backward movement of your head and neck. That neck and head movement is whiplash. For example, during a car accident, the abrupt stop caused by the crash causes your head and neck to move rapidly, resulting in whiplash. Whiplash can damage both the bone structures and soft tissues in the neck. In more severe cases, it can cause Whiplash Associated Disorders (WAD). 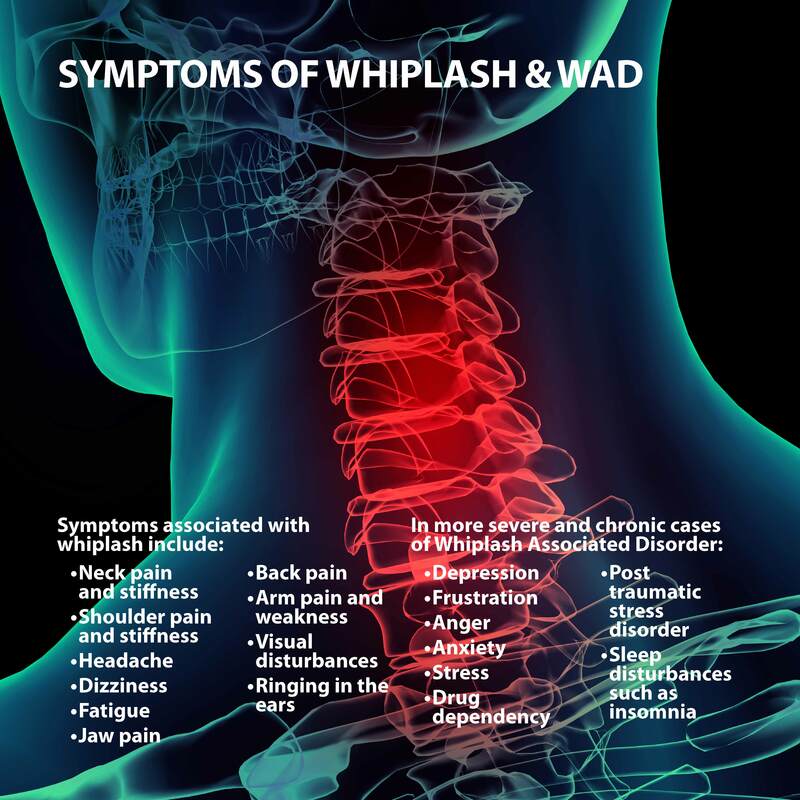 On average, approximately 30% to 50% of patients who sustain a whiplash injury are going to report chronic and potentially more widespread symptoms, also known as WAD. Sleep disturbances, such as insomnia. X-rays. X-rays may be taken to see if any bones were broken or if the spine is not stable. X-ray images will also show the disc height and bone spurs. Electromyography and Nerve Conduction Velocity (EMG/NCV). This test may be used if your physician suspects that a nerve is trapped or if nerve damage is present. Discography. Discography is a disc injection that shows if a disc is contributing to the pain. This test is only used for patients with severe pain that has not improved despite being treated. Magnetic Resonance Imaging (MRI). MRI scans are used if your physician thinks you may have disc herniation, disc injury or compression of a nerve in the spinal cord. Computed Tomography (CT scan). CT scans are used to help diagnose neck pain that does not respond to treatment. The goals of whiplash treatment are to control pain, restore normal range of motion in your back and neck, so you can return to your normal activities. Your specific treatment plan will depend on the severity of your whiplash injury or Whiplash Associated Disorder. Most cases are treated non-surgically. In rare cases, surgery may be required. Rest. This is most useful during the first 24 hours after receiving the injury. However, too much rest may actually delay your recovery. Heat or Cold. Applying heat and cold to the neck can help reduce pain. Pain Medications. Over-the-counter pain relievers such as Tylenol (acetaminophen) and Advil/Motrin (ibuprofen) can control mild to moderate whiplash pain. Prescription Medications. If your pain is more severe, stronger prescription pain relievers can help diminish pain. Injections. Injections such as lidocaine, a numbing medicine, applied to painful muscle areas can also help decrease pain. Muscle Relaxants. These help to loosen tight muscles that may be causing pain. Exercise (specifically stretching movement exercises) may be recommended to help restore your range of motion in your neck, allowing you to resume your normal activities. These exercises may involve rotating your neck in both directions, tilting your head side to side, rolling your shoulders, and bending your neck toward your chest. Your physician may also recommend physical therapy if you have ongoing whiplash pain or need help with range of motion exercises. Your physician will help determine the best physical therapy option for you. In some cases, foam collars are recommended to help hold the neck still, allowing it to heal. Your physician will decide exactly how long you should wear the foam collar to promote healing and prevent further injury. Artificial Disc Replacement (ADR). An artificial disc is implanted where the injured disc was removed. This procedure preserves and restores neck movement. Spinal Fusion. If the disc is not removed, spinal fusion may be performed on the spine. Bones in the spine are fused together so that they heal into a single, solid bone, stabilizing the spine. Corpectomy. This procedure involves removing part of the vertebrae to reduce pressure on the spinal cord and nerves if that is the source of the pain. Laminectomy or Laminoplasty. Both of these procedures focus on the lamina, the bony plate that’s at the back of each vertebra (The lamina protects your spinal cord and spinal canal). If the lamina is pressing on your spinal cord, the surgeon makes more room for the cord by performing a Laminectomy (removing all or part of the lamina) or a Laminoplasty (reshaping the lamina to create more room for your spinal cord). Foraminotomy. If there is a narrowing of the space where the nerve exits the spinal canal, a foraminotomy may be performed which removes the foramen (the area where the nerve roots exit the spinal canal). This procedure increases the size of the nerve pathway, making it less likely that the nerve will be pinched or compressed. Your Florida Orthopaedic Institute physician will help chose the best procedure for you. Recovery is dependent on the severity of your whiplash injury or Whiplash Associated Disorder. Typically, people make a full recovery in anywhere from a few days to a few weeks. Your physician will tell you how long your specific recovery time should take.